On Saturday, Feb. 4, four of Cedar Falls High School’s finest musical ensembles will come together in an annual tradition of jazz. This year’s jazz show will be the largest in recent memory. 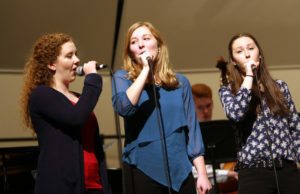 Last year, no jazz choirs performed, and prior to that only one did, but with two vocal ensembles this year, the jazz show will be bigger than ever before. Jazz Choir I follows them, singing “Don’t Know Why,” a laid-back Norah Jones tune, and “Moondance,” a fun arrangement of the classic Van Morrison tune. 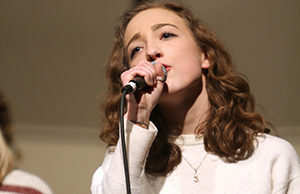 This will be the first performance of the season for the two jazz bands; the vocal ensembles debuted their set at Monday evening’s choir pops concert. 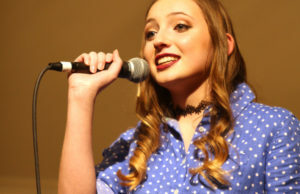 In preparing for this performance, the groups faced some challenges. Ramsey described some early troubles. 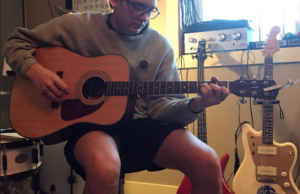 “During first semester, several of our members had early bird PE/health, drivers ed or other activities that conflicted with our rehearsal times, so we ran a very limited rehearsal schedule in November in December,” he said. The Jazz Show will be held this Saturday evening, Feb. 4, in the C.C. Stanard Auditorium. The junior high portion will begin at 5 p.m., with a dinner break before the high school event starts at 7:30. Tickets are $5 for adults and $4 for students.